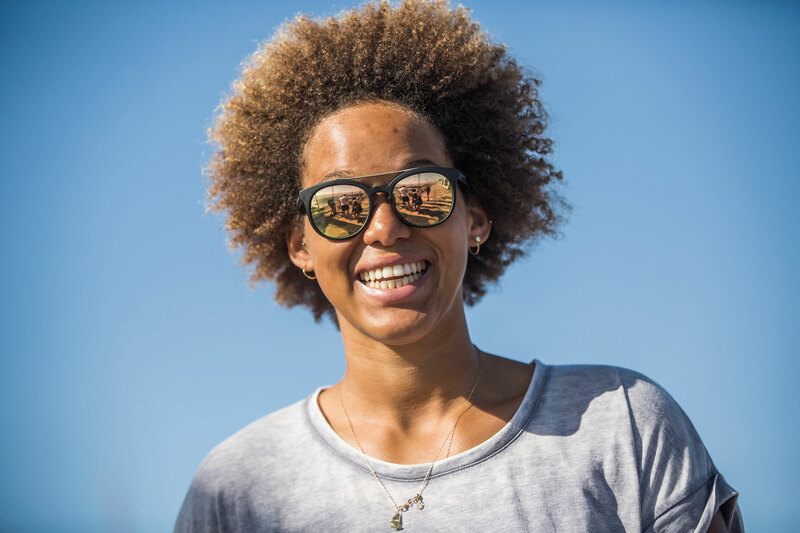 Although Sarah-Quita Offringa won her 4th PWA Slalom World title in 2017 and had a very successful year, she will not fight for the slalom title this year. Competing on the highest level in three disciplines is exhausting and Sarah-Quita Offringa decided to slow down. This doesn’t mean she will slow down in the other disciplines. She wants to defend her freestyle title and has big goals in the wave discipline. Read more about the reasons behind the decision in our interview. 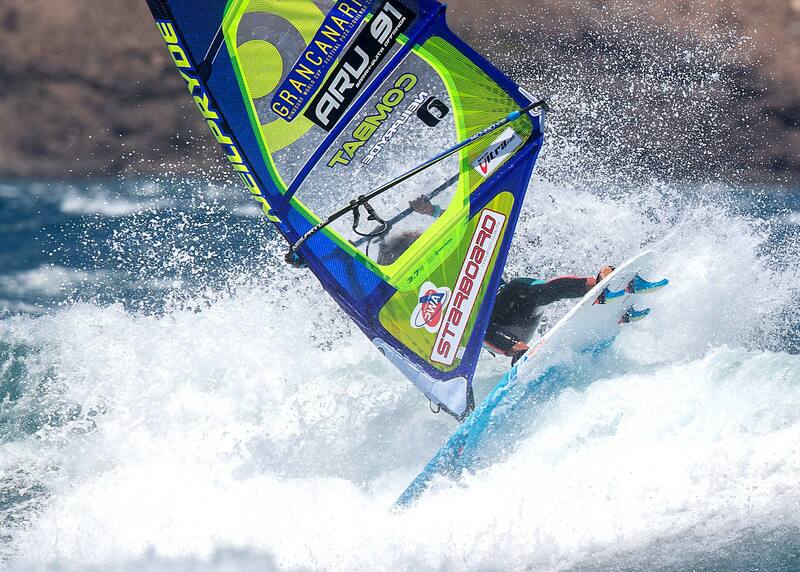 Continentseven: Congratulations to your 2nd place at the PWA Wave event in Morocco. It was your first time in Morocco. How did you like Morocco? Sarah-Quita Offringa: Hey C7! Thanks a lot! It’s only all sinking in after the contest. You know I’m really happy to make another wave podium. Morrocco was overall better than I expected. I loved walking through the streets of Essaouira. All the rugs hanging outside of the shops, secret alley’s, food market and the smell of spices.I can totally relate to the Disney movie Aladdin now! ( Still one of my favourite disney movies!). The food was goooood and the people were very genuine and friendly. It was special to be part of the first ever women’s only wave event and I feel like there was a good atmosphere amongst the girls. Moulay has it all for all levels of wave sailors. I’d love to go down there more often, especially since it’s starboard tack. And I just wanted to say thank you and congratulations to Boujmaa for organizing the event and taming the waves on big wednesday. He is such an iconic and stylish rider and a great ambassador for Morrocco. The next event is the PWA Slalom event in Japan. But we didn’t find your name on the entry list? Good eye! No, I haven’t registered for the next two slalom events. Is this a retirement from slalom competitions in general or just a break? I’ve decided I need to slow down this year. So it’s more of a break than a retirement. For now, I have reached my goals in slalom. So I will not do South Korea and Japan so I can have some more rest and focus on waves. But Portugal is combined with freestyle so I will probably join for slalom, too. It’s very difficult to plan an athletic career and always make the right decisions. It must be hard to make such a decision after so many successful years. In the end, what were the reasons for your decision? It’s hard to make this decision in the sense that I absolutely love the tour. I love competing but I also love all the people I get to hang out with and all the great moments that come with those competitions. The slalom riders are a fantastic bunch. I will miss slalom on a competitive level because I know I’ll be watching a winners final thinking that I could be there too. And I’ll just miss hanging out with all the riders and meeting new people. Moments on tour are priceless. So I’ll probably feel like I’m missing out on good times. But at the moment I feel like I can not handle another year of doing all disciplines. Result wise it has gone very well for me but especially last year I felt like I was always scrambling from one competition to the next and struggling to keep up with it all. I’ve been dividing my attention and energy across three disciplines which was fine when I just finished University and all I wanted to do was windsurfing and competing as much as possible. But I think I have calmed down now and learned that my energy is limited and I need to focus more. Because while I am physically at one event I’m always mentally preparing for the next event and next discipline. And I have realized I really, almost desperately want to get better in waves. So that time is now. The time I spend on slalom is time not spend on wave/freestyle and I’ve decided to change that this year. I want to get better at jumping and I want to be able to hit every single lip on a Ho’okipa wave. I also want to slide through Takas at Pozo and land Goiters in Tenerife. Aiaiai.. Let’s get to work! I’m sure I’ll be able to pick up slalom further down the road again. What’s your schedule, where and how will you prepare for the events on the Canaries? I would like to go to the Canaries in May already before going to Portugal and then back again to Gran Canaria. For Gran Canaria it’s all about being comfortable with the conditions. Back to 2017. It was a very spectacular year. 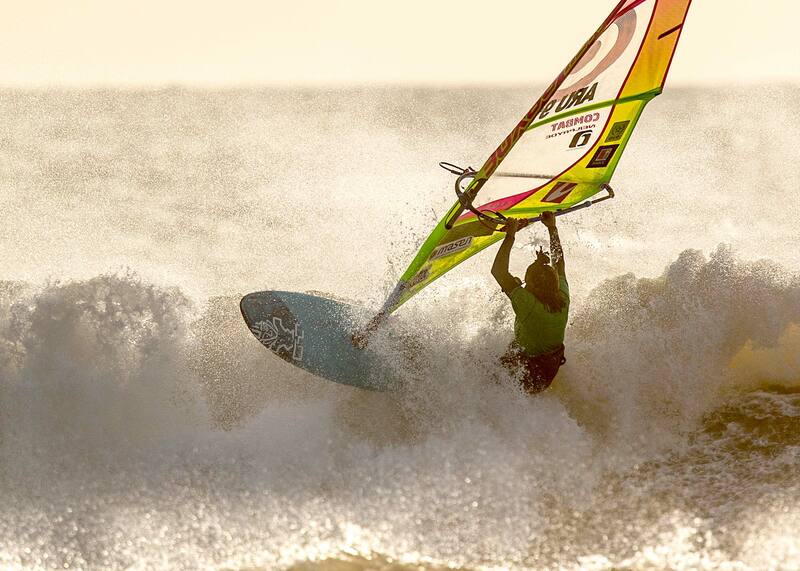 You won your 4th slalom world title and the 10th freestyle title and finished 3rd in waves. It was an exciting freestyle event and the slalom final at the end of the year was even more thrilling, as you had to reconquer the slalom title, which was stripped of due to a calculation mistake. Was 2017 too exhausting and you had to pull the plug? Yes looking at the results, 2017 went great. So did 2016 and 2015. But these 3/4 years of non stop traveling and competing have piled up. I (and many other riders on tour) live in a tiring state of constant jet lag hahaha. I think I started 2017 still catching my breath from the year before and was tired a lot at many contests as a result. And indeed by the end of the year I was exhausted and I hadn’t enjoyed the ride as much. And this is something that is very important to me. Even though windsurfing is my job at the moment, I still compete because I enjoy it, not because it is a must. Of course that’s also my own doing, because I always tend to want to do everything or a lot of things at the same time. Forgetting that my energy is limited. So I’m just trying to slow down a bit for this year, do less but with 100% motivation and energy. How is the reaction of your partners form the industry or are they even a reason why you take a break from windsurfing? They are supporting me with my decision and even rooting for me to improve at wave sailing. Do you still have slalom gear? Are you currently training slalom or thinking on jumping on the slalom gear just for fun? Yes I still have my old slalom gear! Yes I will definitely be blasting on my slalom gear in Aruba keeping up with the local kids. It’ll be nice to go sailing not thinking about tuning the gear and just enjoy the ride. What is the one thing you are most proud of in your slalom career? I think 2017 was my best slalom year. Even though once I’m on the race course I always manage to perform, before getting on the water I always relied a lot on other people to help me get my gear tuned. Last year I was well sorted both on land and water. I understood how all my gear worked and how to adapt to different conditions. This gave me extra confidence and showed at Hvide Sande. Even though it was a dramatic final day, I won the event with 7 races in conditions ranging from 5,6 to 8,6 from flat to choppy water. It’s been a while since we had an event with so many races, so I’m still really happy about that one. They are the same every year: Taking over the world. One coffee at a time. Sounds like a good plan;-) Thanks for the interview.